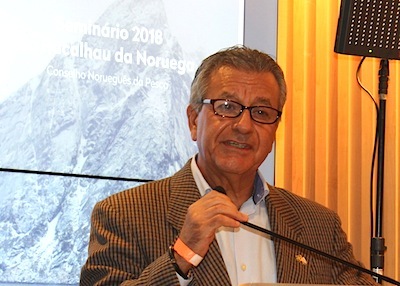 Brazil represents 20 percent in total clip fish export in volume and value from Norway, and Norwegian bacalhau has a privileged position among Brazilian consumers. In 2019, less Norwegian bacalhau will be available on the Brazilian market due to a reduction in quotas. 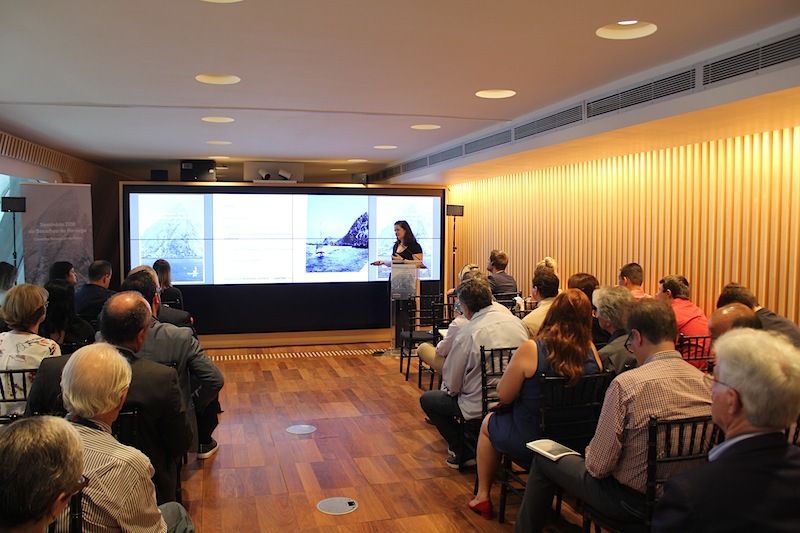 On November 13, 2018, the 8th seminar on bacalhau from Norway was organized by the Norwegian Seafood Council, in Museu do Amanhã in Rio de Janeiro. 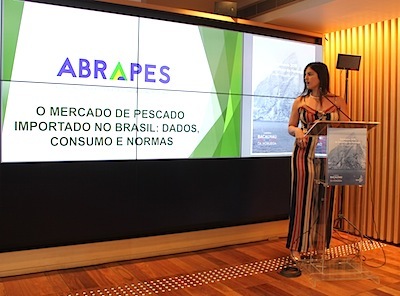 The seminar provided the participants with relevant and updated information on the imports of Norwegian bacalhau to Brazil, and the day before, a similar seminar for buyers of Norwegian seafood products, importers, supermarket chains, agents, regulatory bodies and business partners took place in São Paulo. According to Thamires Quinoes, Executive Director of The Brazilian Fisheries Association, Abrapes, an average Brazilian consumes only 10 kilos of fish every year, and this is only half of the world average. «Norway is Brazil´s main commercial partner in dried and cured fish products, and so far in 2018, 13,268 tons of bacalhau have been imported. This is about 5,7 percent of the fish products we import in volume, and 8,6 percent in value», she said. Sardines and salmon are still the main import products. «Bacalhau is considered food for special occasions, and Norwegian bacalhau is perceived as «the elite of the bacalhau». Norway is associated with quality and tradition, and to Brazilian consumers, this justifies the high cost. Summing up, Brazilians have a very positive perception of the bacalhau, but origin is not considered a criteria to the consumer when shopping. This is something to work on. Many associates bacalhau with Portugal. Bacalhau is also not a weekday dinner. 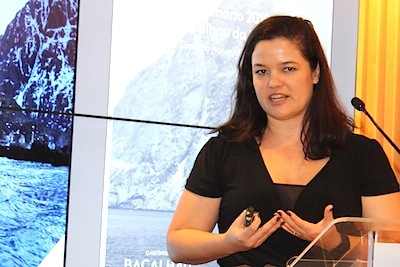 The high value and the longer preparation time is a barrier, and bacalhau is currently more consumed in restaurants and bars», Ms. Talladec said. 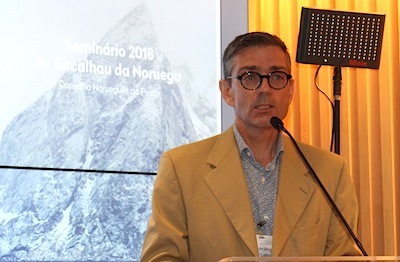 It was Øystein Valanes, the director of the Norwegian Seafood Council in Brazil, who gave the opening presentation to the seminar, where he outlined the Brazilian bacalhau market. So far in 2018, the total imports to Brazil are of 260.000 tons. The Norwegian market share in the Brazilian codfish market is of impressively 77 percent, a slight increase, but numbers show a decrease in volume sold. The price has however increased so there has been an increase in value of the bacalhau sold. In 2019, the quotas for Atlantic codfish is six percent smaller than in 2018. «We have seen a significant reduction the last years, but see this as an adjustment, and the industry expects new rise in quotas in the future. 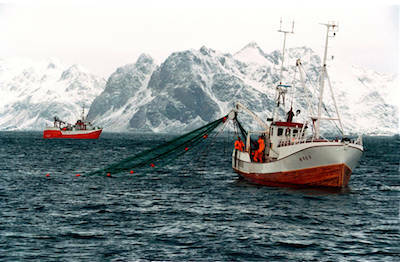 The Norwegian quota will go down 8 percent compared to 2018. Portugal remains the main market for Norewegian dried fish products, but Brazil represents 20 percent in total clip fish export in volume from Norway. Studies show that close to 50 percent of the consumers say they prefer bacalhau from Norway. Origin matters, and information to the consumers is fundamental. We are now planning PR efforts in social media and on TV for the Christmas campaign, starring former football player Roberto Carlos», Mr. Valanes said. New regulations are on the way in Brazil, and in his presentation, Mr. Valanes said he hopes the new rules will facilitate market access in Brazil. The Norwegian Seafood Council is also eagerly awaiting the negotiation on a free trade agreement between Mercosul and EFTA. Marcio Milan, superintendent of the Brazilian supermarket association ABRAS, gave a presentation on consumer tendencies in a «post-crisis» and «post-election» scenario – from a supermarket point of view. «Price is not the only factor for the consumer. Quality matters. A preference for healthier products is another tendency», he said, pointing to the fact that a aging population has different consumer needs. Practicality, sustainability and traceability are other factors of great importance to the consumer. 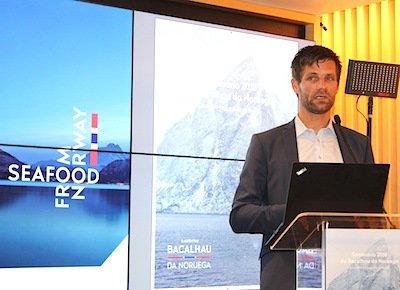 Mr. Rune Bjåstad, Norwegian Consul in Norway, represented Norwegian authorities at the seminar, and he acknowledged the important role that Norwegian authorities play in guaranteeing the presence of the beloved bacalhau on Brazilian dinner tables. Brazil is the second biggest market for Norwegian clip fish in the world, and currently about 20 percent of the total volume of clip fish exported from Norway, ends up on Brazilian tables. «Our trade relations started 200 years ago, and bacalhau is still one of our most important export products, especially in Brazil. But for us to be able to continue for another 200 hers, we need to take better care of the oceans, to avoid pollution and increased sea temperatures, that will have a negative effect on fisheries. Business as usual is not an option», he said in his remarks. The seafood seminars were part of the 2nd Norway Brazil weeks, with a number of events taking place in Rio and São Paulo.